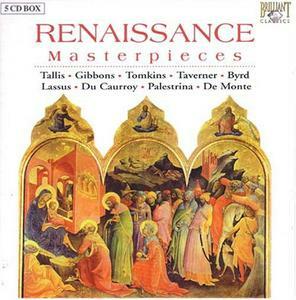 Tallis, Byrd, Tomkins, Taverner, Gibbons, Lassus, Caurroy, Palestrina, Monte. 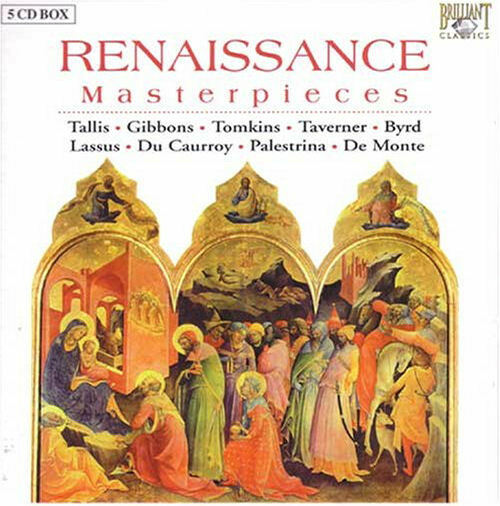 This set reveals the riches of Renaissance choral polyphony, the art of combining, contrasting and colouring vocal lines into a sound-web of unsurpassable beauty and splendour. Presented are the great masters from England, France, Germany and Italy, in their best and most prestigious works. Superb performances of one of the best choirs of England: the Choir of New College Oxford. Licensed from Collins Classics, hardly been distributed at the time of issue (1996). All sung texts are included, with lucid liner notes on the music and composer. Packaged in wallets. PLEASE DROP A COMMENT IF YOU APPRECIATE MY EFFORTS UPLOADING THESE ALBUMS !! !